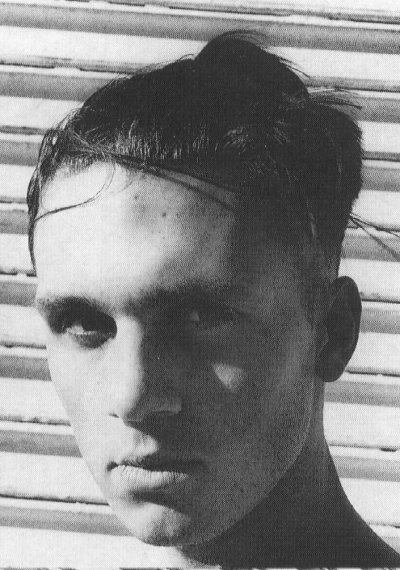 One of my favourite picture of Zac (From The Face magazine, june 1991). This is my favourite picture 🙂 It has lots of depth and sensuality. It even inspired me for poems. And again taken by Kevin Westenberg 😉 @Virginie: I had no idea that it is from 1991. I thought it was taken later cause he looks much more adult. K.Westernberg and EMF worked together from in the middle of Schubert Dip era I think. Anja, would you like to share your poem about that picture with us (and translate if it’s in germain… I can’t read germain). I didn’t know it was Westernberg. He knows how to show the best of Zac I guess. Yeah I do agree with Virgi, and I have some poems for him too, it’s gonna fun to share cos how we think of him! Yeah, Dyfrig resembles Zac really, and I think sometimes you have remembrance of him. yes, you are so right with that. Even if Zac “only” was the uncle. But it is not to overlook. So sad they both never learned each other. Does Charlotte actually have remembrances of Zac? Large bag of sweets is always the dream of the children! I can imagine so easily how he cherished her so much. Being genereous with nieces and nephews… it’s a Uncle/Aunt job. Terribly sad about Dyfrid not knowing Zac alive. Any pictures of Zac as a child? So Rumi, are you the first who start the poem post? Why me??? I must make Anja’s look good???? Anyway mine’s not poem, lyrics, and maybe someday I’ll make them as songs… I’ve showed them AnneMarie already,… and the site needs something new, I’ll post it via AnneMarie.